• Develop political leaders and ideas that focus on public service and national interest with commitment to high standards of integrity and austerity. Welcome to our weekly Youth Party Digest, where we keep you updated on all the latest Youth Party activities. The elections are approximately six weeks away and we are ramping up activity. It is our goal to win a number of seats in the House of Representatives and House of Assembly. We have eleven candidates running across the country. We call on you to support those candidates and the party as we aim to change the face and impact of politics in Nigeria. According to Narendra Modi, “People’s participation is the essence of good governance”. Citizen’s participation in governance ensures that their representatives are responsive and responsible to their needs and aspirations. We all are affected by government decisions and we also have a right to be involved in the decision making process. 2019 is here and so are the elections. We urge you to collect your PVCs, vote rightly, and secure your votes. Remember, action breeds results, and together we can Shape the Future!!! 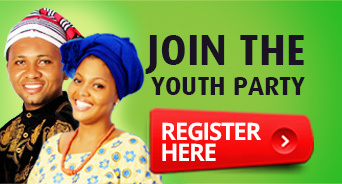 If you are yet to collect your PVC, click here to locate it at your polling unit. and encourage somebody you know who hasn’t collected theirs, to get theirs. 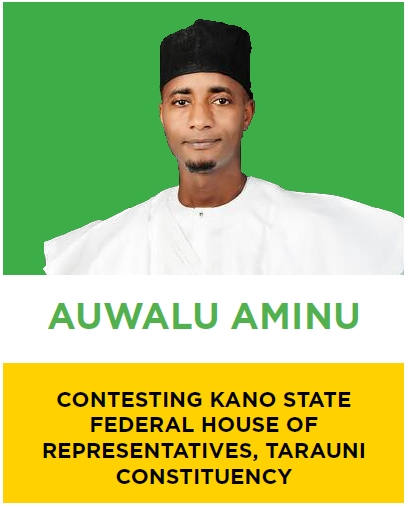 Mr. Auwalu Aminu, is contesting to become a Member, Federal House of Representatives, Tarauni Constituency, Kano State. He is a graduate of Economics from Bayero University, Kano State. He also holds a Master Degree in Business Administration from the same University. He is currently the Deputy Managing Director, Kabo Air. Mr. Aminu believes in strengthening policies that seek to enable improvements in education where no child is left behind. Driven by his belief, he intends to improve the quality of life of Nigerians through job creation and economic empowerment. His favourite phrase is “leadership is integrity” which is in sync with our Party’s commitment in developing a new generation of leaders who are committed to selfless service with high standards of integrity. In this era of irresponsive leaders, Mr. Auwalu is a man of integrity who we believe is capable in shaping the future of our beloved country Nigeria. 1. 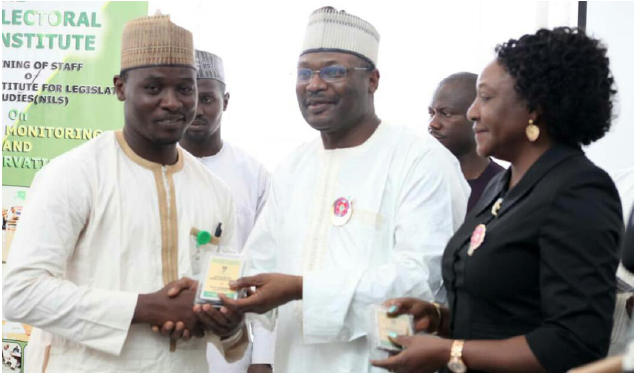 Our Party Chair, Mr. Suleiman Usman Yusuf on Monday, 7th of January received the Certified True Copy of the National Register for the 2019 Elections on behalf of the Party at INEC headquarters in Abuja. 2. The Party Chair, attended Arochukwu day and was honoured with the chieftaincy title of NWANNE DI NA MBA 1 OF AMAEKPU ITEM in Abia State. 3. Mr. Yusuf also attended the BBC World program targeted at fake news. 4. Members of the Party in Alimosho Local Government Area had their Interim Executive Committee inauguration with Adetunji Bello emerging as Chair of the Executive Committee. 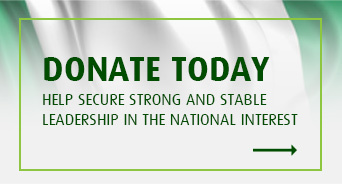 Please send the newsletter to anyone else who is interested in shaping the future of Nigeria and click the button below to join the movement. P.S Don’t forget to click the buttons below to follow us on our social media pages and never miss any important update.